Our products and services are guaranteed to provide you complete satisfaction. We offer quality installation and affordable maintenance. If something isn't right, we will make it right. Ragano Heating and Air Conditioning is a family owned business that has been making our customers comfortable in their homes for 20 years. We pride ourselves on being able to be there 24 hours a day, 7 days a week, whenever you need us. It is our honor to serve you and never an inconvenience to be called when something happens to cause a heating or air conditioning problem within your home. Our team of fully bonded and licensed professionals is there for you when you are looking for someone to install, repair or replace your air conditioning or heating system. We are consistently given 5 stars for our service of excellence because we want to make sure that the job is done right. 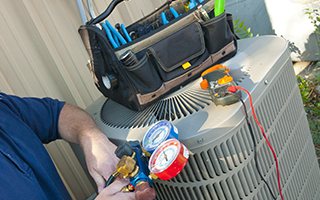 Our service encompasses all aspects of your homes heating and air conditioning systems. This also includes the air quality of your home that may be compromised due to poor ductwork, a need for cleaning, or the addition of a humidifier or air purifier. We are proud to offer the finest products in HVAC from top of the line manufacturers for our HVAC replacements, installations and repairs. The brands we trust are constantly being evaluated by our technicians and ensuring that you are getting the best product for your home. A few of these brands are American Standard, Ruud, Rheem, AprilAire and Honeywell. We are also proud to be on the cutting edge of HVAC technology and use products to increase the energy efficiency of your home. We work with NEST and Ecobee Thermostats that have the technology to not only adjust your thermostat based on your settings, but to actually detect the different temperatures in the various rooms with sensors, adjusting your heating and cooling to your specifications. 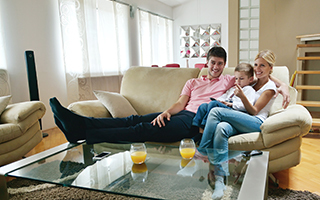 Your home can literally adjust to you and where you are in your home, offering you comfort and savings all in one small, well designed package. My elderly mother has been without heat this season in need of furnace replacement. Even though they were extremely busy, like other contractors at this time, they made a point of stopping by the same day they were called and furnace was replaced by next morning. Chose them because of great reviews and couldn’t be happier! Thank you! This company continues to provide great customer service at a fair price. I think we’ve used them 5 times now for several different properties and I’m pleased to say that each and every technician has just been wonderful. I’ve used Ragano twice, and both times the service was outstanding – knowledgeable, professional, thorough, friendly, and incredibly affordable. Today, Esteban came out for a minor issue and a general cleaning and check-up. He was terrific. He spent nearly 2 1/2 hours testing, cleaning, tweaking, and explaining what he was doing, and why, and gave several suggestions for efficient operation of the unit. After all that, the total bill was $79. This is one of the best companies of any kind that I’ve ever done business with. I know this is starting to sound like a bogus review, but it’s not. I recommend them without qualification. First time using these guys and I’m so impressed. Courteous, knowledgable, and professional. John was my tech and he did an outstanding job with our annual cleaning of the unit. He answered my questions thoroughly and alleviated some concerns I had. A++ service!! I highly recommend this company. The level of service far surpassed expectations. My technician is honest, sincere and professional. He took the time to teach me what I needed to know. He was also thoroughly knowledgeable, a level of expertise you don’t see often these days. Good worksmanship. Clean and professional installation at a reasonable pricing and financing option with 0% apr for 3yrs was kool. They were also prompt in giving appointment at short notice. All in all, it was a good experience…. will recommend. Hired them based on reviews and we were not disappointed they were quick to respond, showed up as planned and did a great job taking their time to explain everything to us. But what I liked the best was they didn’t try and upcharge /give a doom and gloom report or sell us a service plan. I am a tough critic and would highly recommend them!! I had them do a tune up of my furnace and they did a great job; the tech that came out was very friendly and did not try to force me into buying new products. Ragano will be my go to people for my ac/heating service. They responded to my inquiry right away and came just an hour after our initial conversation. Esteban was very nice and did a great job explaining what the problem with my furnace was. The bill was exactly what I got as an estimate.